For most people, a long flight is like a disaster, so airlines are trying to reduce this discomfort. One of the important factors of service and comfort is food, which not only saturates the body but also distracts from the painful flight. 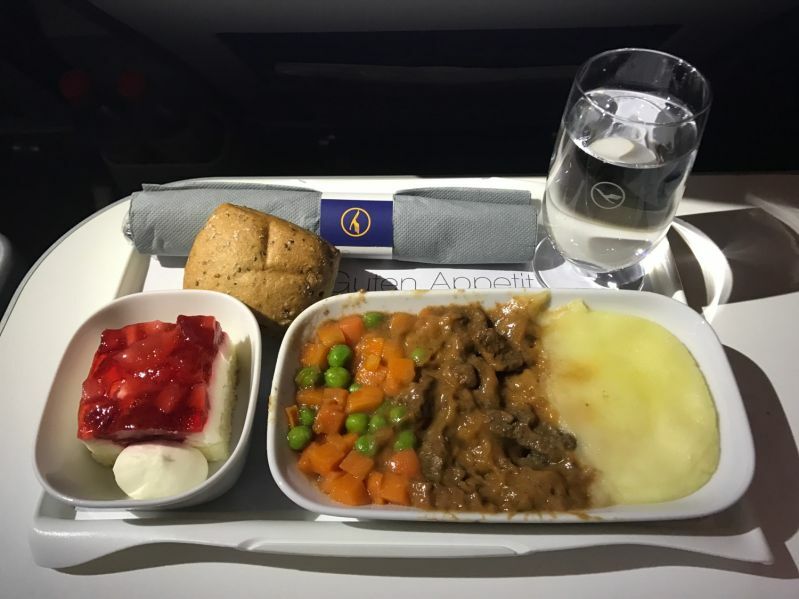 In this article, we present you our research what helps you to have an idea what you will eat on board during your flight. It’s aimed at future passengers who want to know which airlines served better. As you know, "a well-fed person is a kind person", besides, he is less prone to aerophobia attacks. If you think the food airline companies serve up is awful or let's say unappetising, it’s not necessarily their fault. Essentially, you leave your usual sense of taste behind at the airport departure gate. At the height of the lost taste, so the same food on the airplane and in the restaurant has a huge difference. However, the cooks of many air carriers manage to create a delicious and nutritious culinary masterpiece. 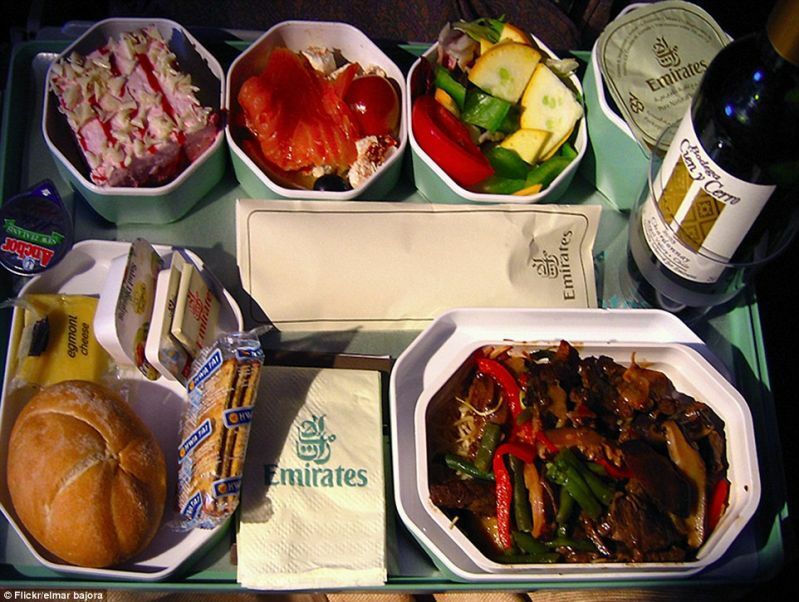 Passengers can expect luxury dishes, cold and hot drinks. Food will have to taste true gourmets, and the wine will shake the richness of varieties. The first class to choose from is free seven courses, the business class - five, and the economy - two. A carefully selected menu allows you to have the best experience of delicious food. In addition, it includes children's and dietary food. The menu of the German airline Lufthansa changes every 2 months, so snacks and hot food do not have time to get tired of constantly flying tourists. The food programs are different and depend on the level of the class. For the business class they offered delicious delicacies, and for the economy - traditional dishes. In both cases, the food is prepared by first-class cooks. The onboard menu of Singapore airlines is prepared with special care, as ready meals tasted in the simulated cabin of the airplane. A team of 6 chefs will make for you stewed Iberian pig cheeks, paella and stir-fries. There is also an order for a separate menu for children and passengers with a special need for food, for example, those suffering from allergies. 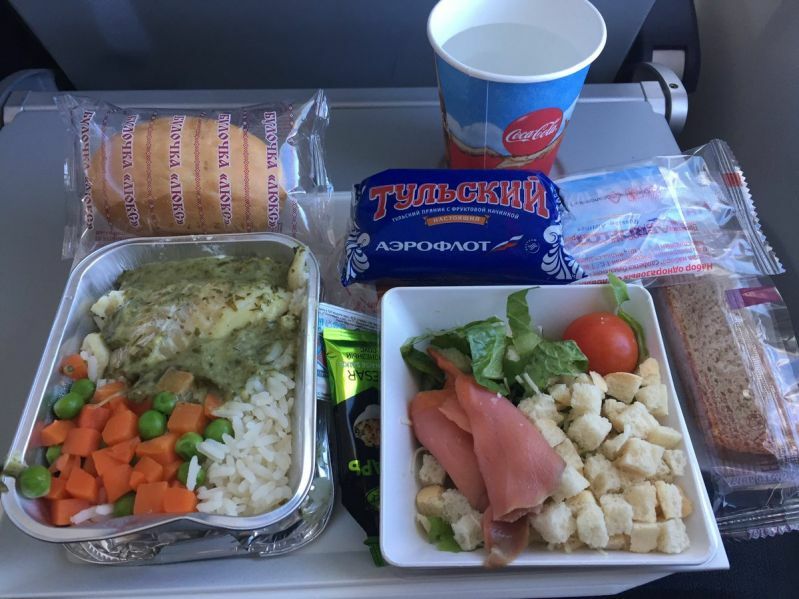 If you are interested in what you can get on board of Russian Airlines, you will be amazed at the varied and often changing menu. Depending on the direction and class of places can offer chicken curry in Thai, azu from beef (small pieces of meat in spicy sous), chicken schnitzel, fresh fruit. During a long flight, you can have an extra breakfast, dinner or just a snack. You never leave airplane hungry if you fly with this airline. 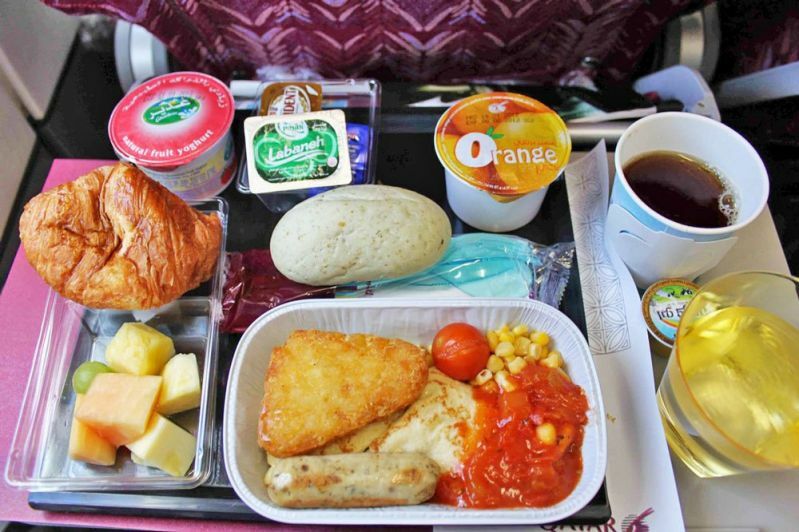 The airline "Qatar" offers two meals a day, including a variety of main dishes, as well as fruit and a delicious dessert. Interestingly, the flying economy class have a great list of alcoholic beverages. For the first and business class provides an exciting opportunity for Chef-on-Call, which allows you to pre-select a dish from a variety of options. The airline takes into account the individual wishes of passengers, conditioned by religion, diet, disease. 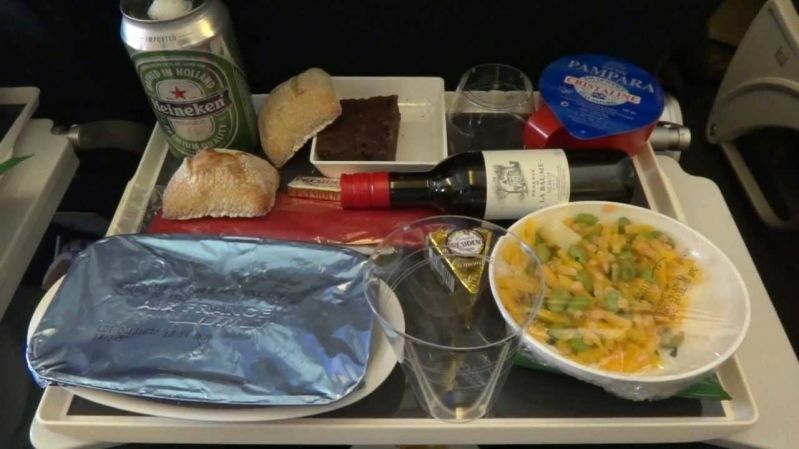 During lunch, you can order beer or wine, and juices are available throughout the flight. 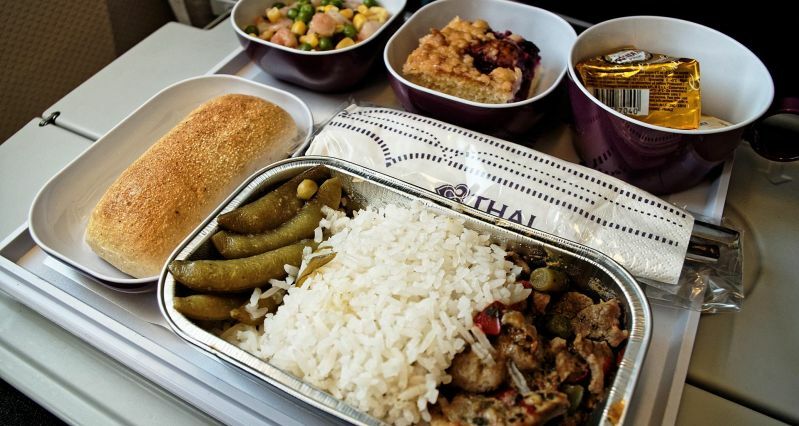 Thai airlines offer you a variety of traditional Thai dishes as well as European and Asian cuisine. 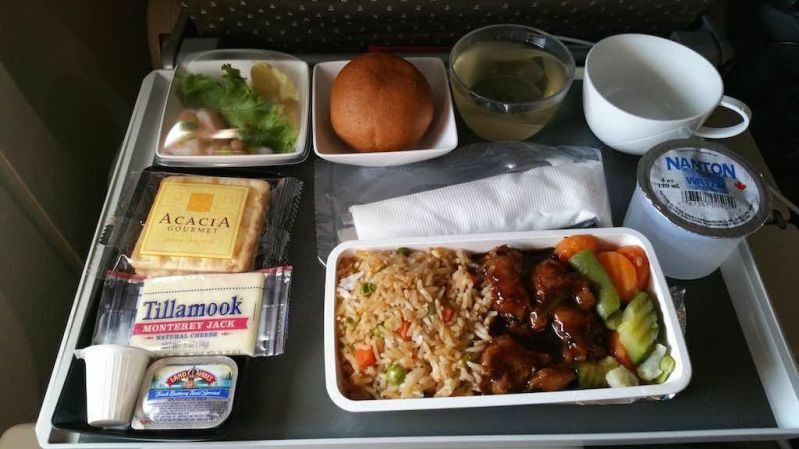 The exotic menu is available for most flights, so expect to see meat in curry sauce, fried rice with shrimps, etc. The first class will necessarily be offered champagne, a cocktail or a glass of wine. 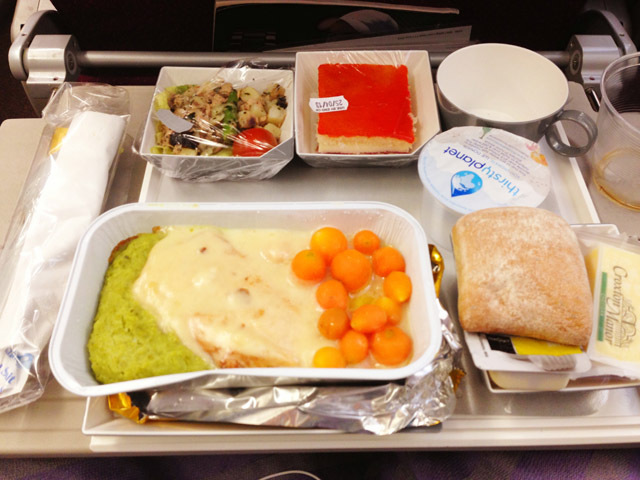 For the Economy class passengers they prepared hot dishes, salads from fresh vegetables, bread and dessert. The onboard food of the French air carrier depends on the time of the year. The menu includes exquisite, festive and light meals. Hot food, desserts, coffee and alcoholic beverages offered for all classes passengers. Regardless of whether you are flying alone or in a company, AirAdvisor recommends that you first familiarise yourself with the onboard menu. Most air carriers have official websites, which contain detailed information on nutrition. And also there you can find a pre-order menu service. Have a safe and delicious flight! Our website is fully launched! Is the turbulence zone dangerous? We'll help you receive compensation for the past 3 years if your flight was delayed/cancelled or if you were denied boarding.